Chances are, you’re paying more than you have to. This guide will show you specific actions you can take to lower your bill. It starts like any other day. A hot cuppa, email, work. Then it happens. You get a notification that your mobile bill is due. Panic sets in as you wonder what it’s going to be this month. You want to curl up and hide in the corner. Bills have a habit of creeping upward these days. There's the increasing data charges, the mystery taxes and of course that add-on service you don’t even remember signing up for. Tack on some data-hungry teens or that business trip abroad and you could find yourself in for a shock once you finally wade through all those pages and find the total. Cut it from your life? Let’s be real. That's not happening and doesn't sound fun. Most of us are inseparable from our mobiles. They’re where we communicate, keep up on current events or sneak in a Candy Crush session at work. It's possible to whip your bill into shape without sacrificing comforts. We’re about to show you how to put your mobile bill through bootcamp! All you need to do is carve out a few minutes of your day and tackle one of the 15 actionable techniques below. Let's be honest. Mobiles have become one of the must-have utilities in most people's lives. Everyone has one--even grandma. So when the bill arrives, you look at the ransom-like sum and go “Hey! I need it!” and pay regardless. Take the time to sit down and get to know each bill. Not a “look at the number on the first page and toss the rest” look at your bill. We’re talking a proper, honest to goodness look at your bill. A complete review of your usage and all the associated charges. Take note of any extras you pay for but never use such as roadside assistance or “enhanced voicemail”. Look long and hard at your mobile bill, and determine if you really need everything that’s listed on it. Yes, it’s 15-pages long. Yes, it’s a bit intimidating. Yes, it will take some time. But if you can shave even £50 off this year by finding some things you don't need, the half hour is well spent. Now onward to saving more money! In the last decade or so, how we use our mobiles has changed dramatically. In the beginning, we used our mobiles to make calls. Good ol' regular voice calls. But now that your mobile is a computer with always-on Internet access, the voice call has taken a bit of a backseat. Why call when you can text, tweet, email, Skype or Snapchat? This shift means you might be paying for more voice minutes than you actually use. Especially if your network rolls minutes over from month to month. Call your network and ask them to review your calling history for the prior three months. If you're averaging far fewer minutes than you're paying for, consider changing plans. NOTE: You want to be careful here, because rules differ from network to network. If you do use most of your minutes, you might be able to cut back by using a VOIP app that lets you make calls over Wi-Fi. Popular options include Viber, Skype, Google Hangouts, Ooma*, Vonage* and MagicApp. While calling Uncle Vinny in the old country sounds fun, international calls can get expensive real quick. If you call overseas often, ask your service provider about special rates or add-ons to save on international calling. Better yet, don’t make the call from your mobile’s plan in the first place. Instead, call using a VOIP (voice over IP) app such as Skype or Google Talk. If Uncle Vinny also has an account, it's free. Otherwise, most major VOIP apps offer low per-minute rates to landlines or mobiles. If you don't want to use a VOIP app or have no data, you can use a third-party long distance calling company. While this is becoming a less popular option, it’s still effective. Most calling card services work by simply dialling a short number first and then entering the number you wish to call at the prompt. Options range from monthly plans with a set number of minutes to per-call rates. You can also save more by customising the plan you choose to the regions of the world you need to call. Popular choices include DigiCallingCards and PostOffice.co.uk or LycaTalk. Much like minutes and data, texting is often an area of waste on monthly tariffs. Scenario A: You never text. You prefer options like Line, WhatsApp or Messenger. But those options didn’t exist when you started your contract. And since per-text pricing is terrifying, you signed up for unlimited texting just to be safe. If this is you, a quick check of your bill will make it obvious. Don’t be afraid to drop to per-message rates. As long as your friends don’t blow up your inbox, you’ll likely find it cheaper than the unlimited plans. 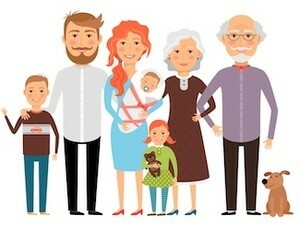 Scenario B: What started as a simple shared plan with hubby has turned into a beast now that you've added two teens and Grandma. For the teens, the mobile is a natural extension of their arm and your bill shows it. If this is you, contact your network. It wasn’t long ago that even if you had unlimited text plans, it was often per line. These days, texting is cheaper for group plans. Call and discuss your options. As long as you’re all regularly using your mobiles, many family plans offer great value compared to piecing features together. One of the easiest ways to trim your mobile bill is to cut out extra data charges. If you live in a remote cabin or you’re backpacking the world, Wi-Fi might be a little hard to come by. But for the rest of you, there’s a good chance you’re not using nearby hotspots to their full potential. We’re not saying you should piggy back on your neighbours or go all rogue hacker. 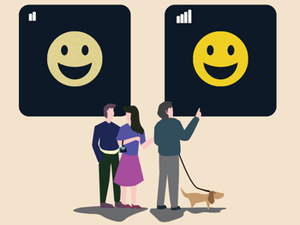 Just take a few minutes to check out the Wi-Fi signals in the places you frequent and take advantage of them. We know most coffee shops, fast food restaurants, and Internet cafes offer free Wi-Fi. But more businesses are jumping on the bandwagon. Finding available networks is simple on most handsets. Just hit up your Wi-Fi settings screen for a list. If you see an open network, give it a shot. Most mobiles have a setting to remember networks and connect automatically when within range. Taking a little time to save networks in areas that you shop, eat or work can virtually end the need for mobile data. Just hop from network to network as you go about your day. If you’re looking for a comprehensive map of Wi-Fi hotspots in your area, there are many websites available to help. Popular options include Hotspot-Locations and WiFiFreeSpot. JiWire’s apps for iOS and Android are great options as well. NOTE: Remember that any information you send over someone else’s network could be intercepted. Use a little discretion about what networks you connect to and what you do with the connection. In other words, browsing Wikipedia is ok, logging into your bank account is not. If you need a more secure connection, consider our guide to using public Wi-Fi safely! Although Wi-Fi is more common, there will always be times when you need to use your mobile data. 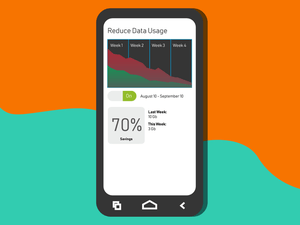 Even if you've determined exactly how much data you need -- or can afford -- and tweaked everything you can think of to reduce your data usage, you might find yourself going through data faster than you'd like. If most of your data is used browsing the web, switching browsers might help to further reduce your data usage. 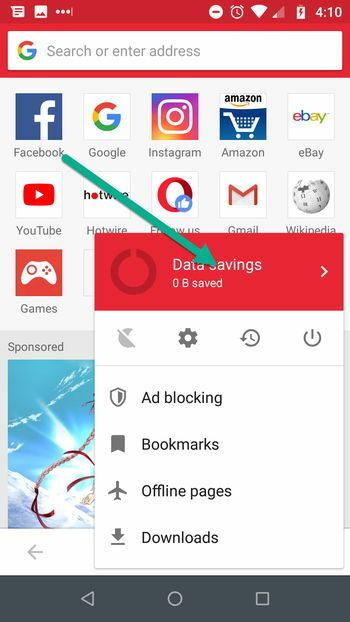 Both Google Chrome and Opera Mini offer options to compress data used when browsing the Internet. 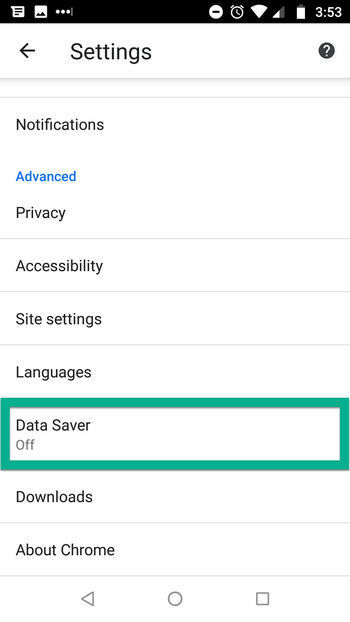 Google Chrome's option is called Data Saver . 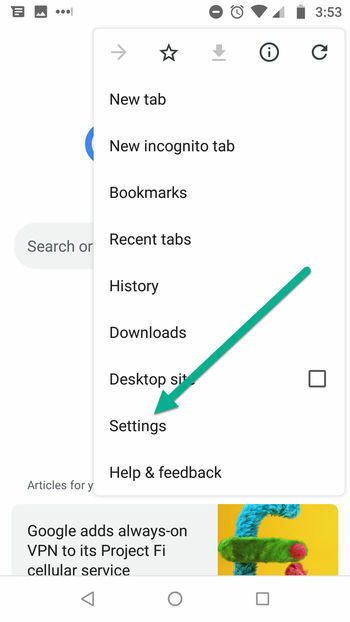 First, tap the settings button in the Chrome App. And under Advanced, tap Data Saver to turn it on. Opera's options are more in-depth, allowing you to set different compression levels and choose what types of media you want to compress. 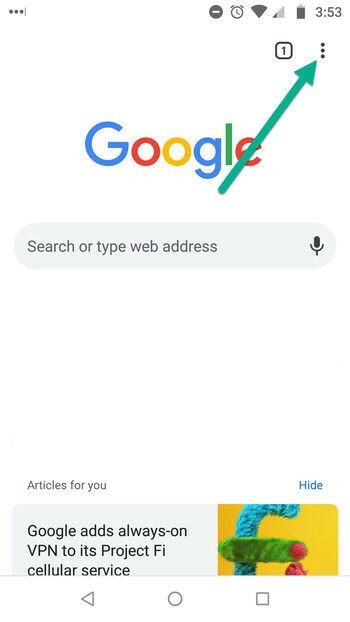 Just launch the app and click the Opera logo in the bottom corner. Then tap the Data Savings section at the top of the pop-in to see all your options. You can choose from multiple presets or configure options manually depending on how much data you'd like to save. It also comes with a built-in ad blocker which can save data while reducing annoying ads at the same time. If you happen to own a Samsung mobile, their Samsung Max app claims to offer similar compression feature that apply to your entire mobile -- not just your web browser. WARNING: These services save you data by routing the sites you visit through their servers using a VPN before applying compression. While VPN use is a good way to protect yourself from snooping eyes, it only works if the company running the VPN isn't nosy. Opera, Google, or any other service compressing your data might be able to peek at your activity. If you're not comfortable with the idea of a company having access to your browsing data, we don't blame you there -- especially since these companies may not have a vested interest in your privacy or might use your browsing data to later serve you ads. Now that we’ve cut back on our data consumption, take a look at your monthly bill. Did you use less than you paid for? You might not be using as much as you think you do. Unless you’re streaming music and video, mobile data is hard to blow through. So why do you have so much data on your plan in the first place? Is it because you actually need it? Or is it because the salesman played the “Are you sure that’s enough data? Better to be safe and overestimate” card? Again, it’s important to look at your bill and see if you overestimated. If you did, you could find instant savings of a few hundred dollars per year by cutting back. Using your mobile out of country can end up costing you more than your vacation. Whether sending calls, receiving calls or using data, international roaming is expensive. In some cases, even turning your mobile on can result in unpleasant charges. Short of leaving your mobile at home, you have a few options. The easiest, but most expensive option is to contact your network and ask about their roaming fees in the countries where you will travel. From there, you can choose a roaming package or special tariff designed to help with these situations. While this is the most expensive option in this list, it still offers HUGE savings over paying outright for roaming fees. The upside? You keep your number while travelling. The next option is to buy a local SIM in each of the countries you visit. When you arrive, buy a prepaid SIM from one of the local networks and use your mobile at cheap local rates. The downside? You'll have to buy a SIM for each country you visit. If you’re planning to visit multiple countries, a travel SIM or international roaming SIM might be a better option. They allow you to roam across many different countries and networks with a single card. Usually at roaming rates much cheaper than your home provider's but slightly higher than just buying a local SIM. Some leading options include GoSIM, TravelSIM and OneSimCard and WorldSIM. 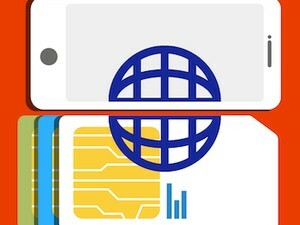 Whether choose a more flexible, international roaming SIM or the local SIM option, most work like a pre-paid phone card. Add minutes or data and you can use it how you please until you’re out of credits. Recharging the card is often done with an app or by calling the SIM company's customer service. Just, keep in mind that while using the SIM, you’ll have a different mobile number, so be sure to update anyone who might need to contact you in case of emergencies. If you’re buying a bunch of local SIMs, that further complicates the issue as your number will change with each swap. NOTE: The biggest caveat of a local or international roaming SIM is that you need an unlocked mobile. If you don't have an unlocked mobile (how to tell if your mobile is unlocked), you’ll need to call your network and request an unlock. That's not always easy if you’re still under a contract. The chances of your network unlocking your mobile for free are quite low. In this case, you can check local mobile repair shops or online tools. Many of which offer unlocking services for a small fee. Check out our mobile unlocking guide for more information. If you still can't unlock your mobile, consider putting an old mobile to use. Or, buy a cheap prepaid mobile+SIM package when you arrive at your destination. Mobile phone insurance was once a great idea. Pay a small monthly fee and if something happens to your mobile, call up and get a new one. Of course, basic mobiles were also much more affordable than the smartphones of today. If you’ve placed an insurance claim recently, you noticed they come with a hefty deductible. And even after shelling out the money, you're probably going to receive a refurbished replacement. Instead of paying every month, invest in a good case--such as the OtterBox series of cases. While they add some heft to your mobile, they reduce the risk of cracked screens or broken mobiles. If you catch a good deal, the case will cost less than a few months of insurance payments. If you still want insurance, consider setting aside a small sum yourself in a separate account each month instead of paying endlessly to your network’s insurance plan. Once you’ve stashed away enough for a new mobile, you can avoid the monthly “premiums” while still enjoying a sense of protection. Did you know that some providers still charge for voicemail? You know…that thing people leave messages on that you never check? It could be costing you a few pounds a month. Smartphones are especially prone to this one with their network-based visual voicemail apps. While it might be cool to see a transcription of your voicemail, is it worth the charge? There are endless options for free voicemail services out there. Most feature an app or web-based interface for easy management from your mobile. Some even add the convenience of remote access from your computer or automatic forwarding to your email. If you don’t need your voicemail at all, call your network and request that they disable the feature and stop the charge. While a £0 iPhone sounds like a great deal, it’s probably not so sweet over the course of a two-year contract. In fact, after you add in the monthly fees for financing the mobile, you might even be paying more than retail for that flagship mobile. Tack on the fact that many networks offer cheaper rates for off-contract devices and you’re looking at a big expense for a small convenience. Compare offers, run the numbers and see just how much you’re really paying for the mobile before you sign up for an agreement or take a discount. Even if you’re looking for a new device, there’s a good chance you could find it cheaper online than the price your network is offering. 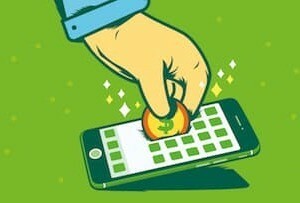 If you can’t pay upfront for a mobile, it’s worth asking yourself if you need the latest model on offer. Buying a used mobile for example and then selecting a cheaper monthly plan without the mobile payment bundled in could end up saving you hundreds. After you’ve used a mobile for a year or two, there’s always at least one option singing its seductive siren song. Whether you’re looking for a bigger screen, faster response time or a better camera, you’ll find no shortage of choices. However, as mentioned above, financing mobiles means that you already shoulder the bulk of the purchase price, even if it’s in less intimidating monthly payments. Add in the fact that you’ll likely need to lock yourself into a new contract and staying on top of the latest mobiles is pricier than ever. These days, used mobiles are a much better value. Not only do you get a fair price on a gently used upgrade, but often, these come with reduced contract commitments. You might even find the deals come with some extra cash to pad your upgrade budget! While you might not find them advertised, many groups or membership clubs offer discounts. Often with one or more mobile phone providers. Some employee discount or union plans offer savings that add up quickly over the course of a two-year plan. Always check with your manager or on your company’s website to see if they have any options. If you use your mobile lightly, consider skipping the monthly payment obligations in favour of a pay as you go offering. Related: Use our free tool to compare prepaid SIMs or check out our list of the best pay-as-you-go tariffs. Switching to a prepaid plan lets you control exactly how much you are spending. In some cases, you may pay nothing each month to maintain your number. Many smaller prepaid networks offer especially attractive prepaid rates. 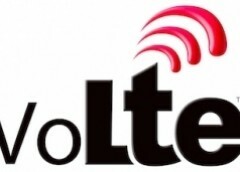 They operate on the same network as the big guys making them an excellent alternative with great coverage and features. NOTE: Be sure to check the network’s policies on how often you need to add minutes to your plan. Many need a refill at least once every 30 to 90 days to stay active. Sometimes, larger "top ups" will buy you more time before you need to refill again offering extra savings for light mobile users. Finally, when all else fails, call up your provider and ask outright for a discount. Plans change often and tend to trend downward over time. Negotiate with your network provider and ask them to change from your current agreement to a newer, more affordable offer. Related: We've put together a free guide on how to negotiate your phone bill. If your provider can’t help (and you’re out of contract) you can always suggest that you're ready to cancel. You'll likely then speak to a "retention specialist" whose job is to keep you from leaving. How do they do that exactly? Often with unadvertised special plans and discounts that no one on the sales floor can offer. 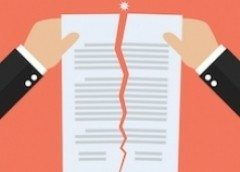 You have 6 months or less remaining on your contract or its already expired. That's the best time to negotiate. 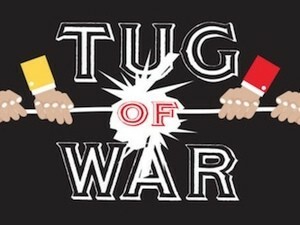 To gain an advantage in your negotiations, compare plans from other companies and know what it will cost you to switch to the competition. If you arm yourself with facts, things are more likely to end up in your favour. If you use one or more of the above steps, there’s a good chance you can shave some £££ off your monthly mobile phone bill. How do you keep your bill low? Have an additional recommendation? If you have anything to add, share it in the comments below. We'd love to hear from you! P.S. If you're still under contract, your options for negotiating might seem limited. However, our guide on Getting Out of Your Mobile Phone Contract can help! Don't sit around waiting for your contract to end before enjoying savings. The guide offers simple step-by-step instructions designed to help you find loopholes in your contracts and get you to a carrier you like. 1. Stop paying for texts! With so many instant messaging clients available, there is little or no need to still be paying for a "text package". For example, Kik Messenger works across all platforms, including RIM, Apple and Android. Share the app with your friends and stop paying extra for a text package. Call your carrier and ask them to review with you your calling history for the prior three months. If it turns out that over the past three months you have averaged far fewer minutes than the plan you are paying for, consider dropping down to a lower tier. You want to be careful here, because rules differ from carrier to carrier. For example, you don’t want to drop down to a less expensive price tier if it also means losing a valuable incentive such as a free calling circle. Some carriers, like Verizon Wireless, T-Mobile and AT&T, offer customers the ability to select a certain number of friends regardless of carrier, and those friends are free calls. If this applies to you make sure you take advantage of it, and update your choices as your calling pattern changes. Some folks like to keep their phone long after their upgrade date. In cases where you plan to keep your phone for a long time, there will come a point when paying the monthly insurance fee on the phone stops making sense. As a rule, once you have paid into insurance the amount you paid for the phone itself, cancel your insurance and save the money. 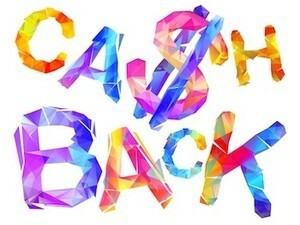 In a worst case, should you lose or break your phone, you will have an upgrade waiting and can begin the process again. If you belong to an automotive club, then you don’t need to pay for roadside assistance through your carrier. 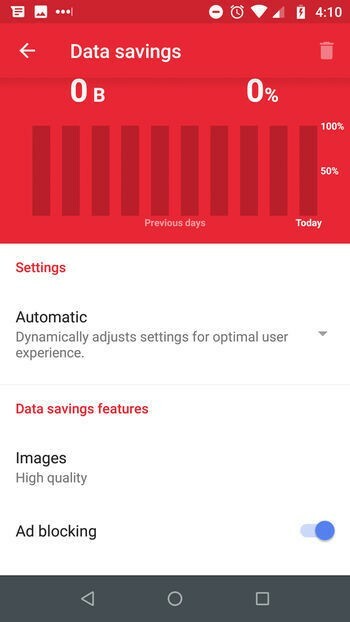 Similarly, if you are a Verizon Wireless customer, there is no need to pay extra for VZ Navigator, since there are many free navigation alternatives. For example, if you have a BlackBerry, use BlackBerry maps and your GPS to provide turn by turn directions. 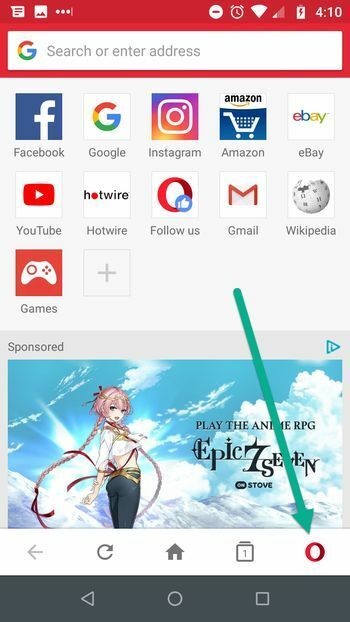 If you use an Android phone, take advantage of the free native “Navigation” app. 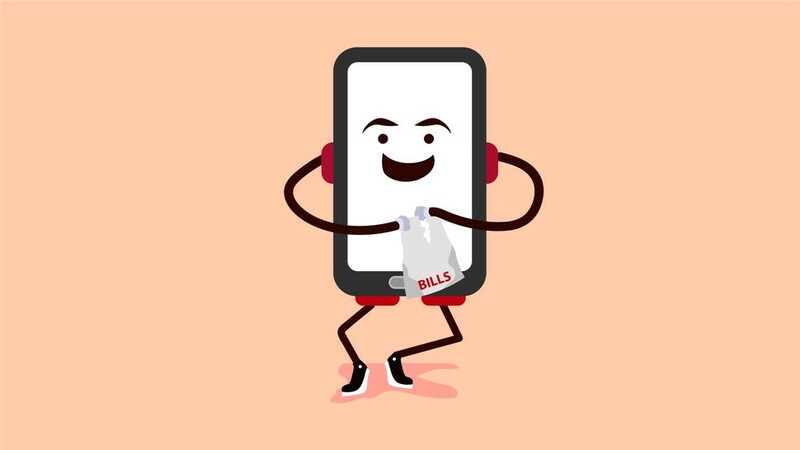 The bottom line to keeping your monthly cell phone bill manageable is to make adjustments when your calling patterns change, due diligence when it comes to checking your bill for errors, and paying for extras only when they make sense.